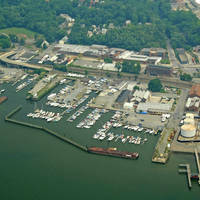 Bridgeport, as the aerial image above suggests, is an industrial city with ample marina facilities on Cedar Creek. Bridgeport is only four miles west of Stratford, and 20 miles northeast of Stamford. 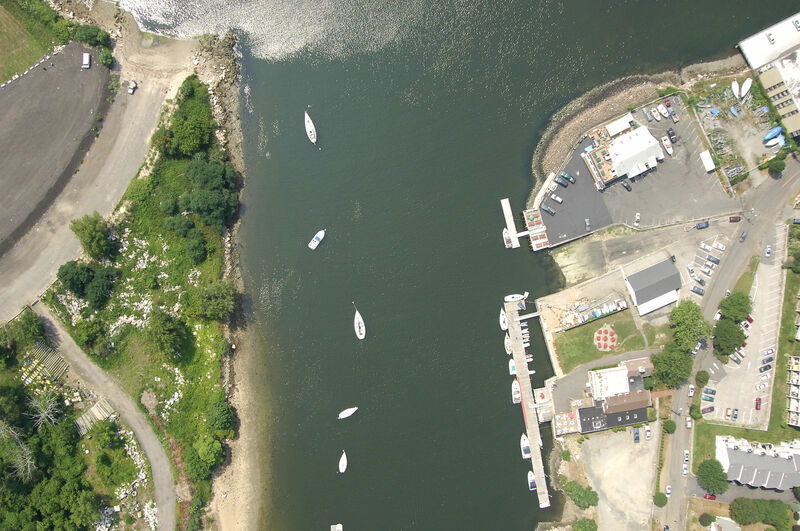 Large freighters and commercial vessels often travel Black Rock Harbor and Cedar Creek up to Bridgeport to pick up and discharge cargo. 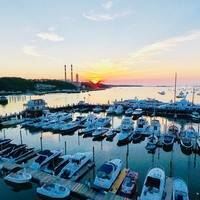 Inside Cedar Creek and Black Rock Harbor are plenty of moorings, a small anchorage and a handful of well-equipped marinas (two with fuel, haul-outs and transient space). 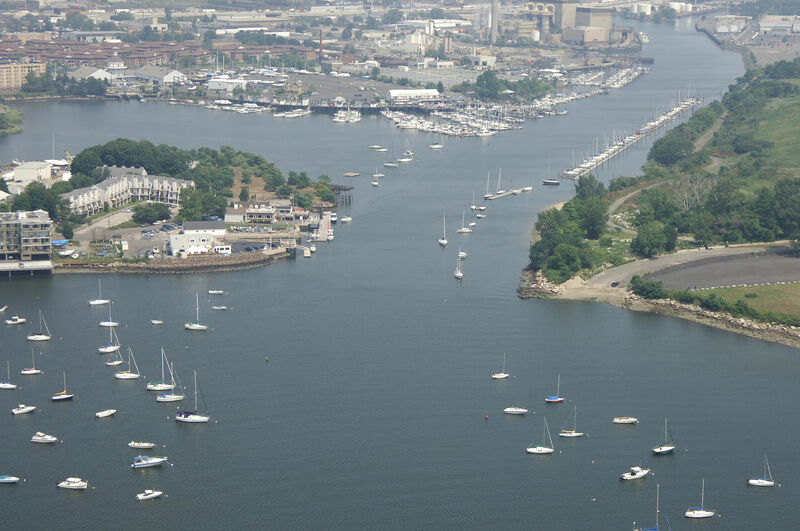 Cedar Creek is well-protected form most every direction, but if you choose to anchor or moor out in Black Rock Harbor, the ride can be less friendly due to its open nature. 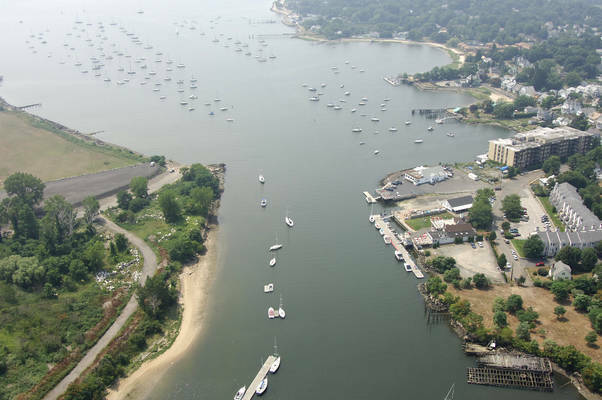 To approach Cedar Creek, first pick up flashing red 2A in Black Rock Harbor south of Fayerweather Point. Once you have cleared flashing red 2A, chart a course for red nuns 4 and 6, and then proceed toward the flashing green light the beginning of the Black Rock Entrance Channel. From the fixed flashing green light, turn north and intercept green can 9, and then red nun 10 and green can 11 at Black Rock Reach (both are visible in the image above). As you can see from the aerial above, both side of Cedar Creek are lined with moored boats, and there is a small anchorage area to the left before the first large marina. This anchorage area is only deep enough for a handful of boats, as the depths shallow abruptly to the north. 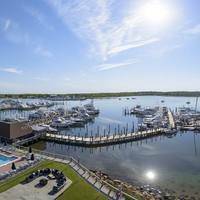 Both of the marinas to port on entrance accept transient guests and one of them has haul-out service and gas and diesel fuel.